A new Super Minipla Encyclopedia has just been released (images from Tendou Toys), and within it’s pages are a number of current and upcoming releases. Among these are also preliminary designs for other projects in the pipeline. So while not revealed physically yet, the most significant items of interest contained in the book are a trio of projects from Ninja Sentai Kakuranger! Following up from the soon to be released Liveman sets, Kakuranger makes a ton of sense given what the collector market is hoping for. 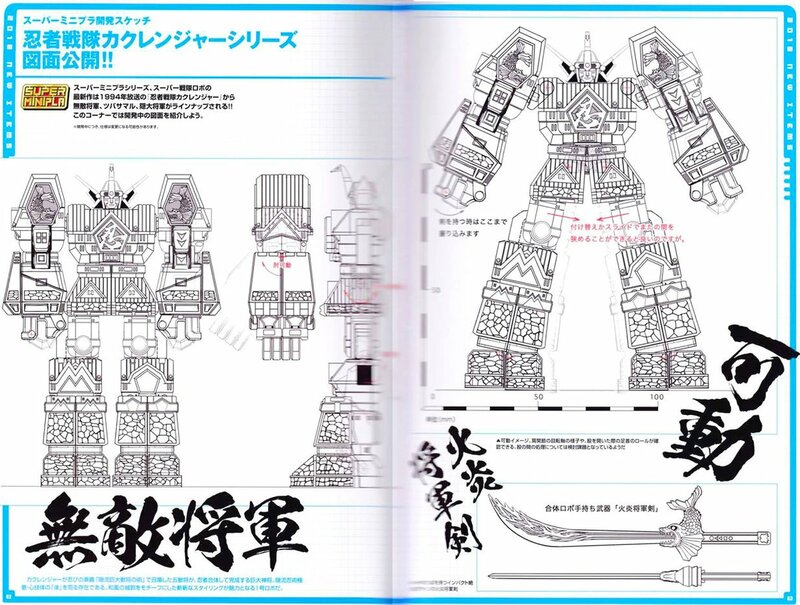 And so far we have general design for Muteki Shogun, Kakure Daishogun, & » Continue Reading.